Bossier has a ton of different places to live, play and work. 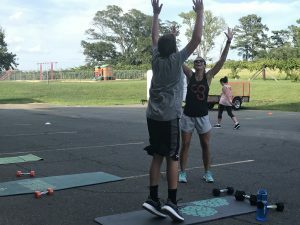 Kelly Wheeler is a high school teacher and trainer through Camp Gladiator. She is someone who loves forming relationships with people in order to help them reach their potential and give them the ability to change their lives. Let’s find out what Kelly loves about teaching sports medicine and helping improve the health of locals. 1. Tell me about your work as a teacher and as a trainer/running Camp Gladiator? If I had to describe it in just a few words, I would say, “On the move.” Early mornings and evenings, I am working with campers helping with their physical fitness and during the day I am in the classroom teaching my students about Sports Medicine. In both careers, I get to positively influence another’s life and that is what drives me. 2. Why did you want to be a teacher? I love working with high school students. I never set out to be a teacher, but found my calling with this age/population. Teaching high school Sports Medicine is the best! I am able to help teenagers discern and decide their future while providing them with useful knowledge that will assist them in any healthcare career and life in general. 3. What about being a trainer? I love being a trainer, but I am not just ANY trainer. I am a Camp Gladiator trainer. 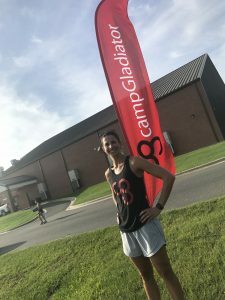 With Camp Gladiator, I am able to spend time outdoors, in a friendly and family environment, and watch lives change through physical fitness. To see a camper transition from that first day until a year into their fitness journey is so inspiring. We have campers of all ages, fitness levels, and lifestyles but we all come together as a family. This is different from any other fitness environment I have ever been a part of. 4. What is your favorite thing about your two professions? Without a doubt my favorite thing about my 2 careers is POSITIVELY IMPACTING PEOPLE. 5. What does Bossier Schools do for its teachers that makes you feel appreciated? One week out of the school year, teachers are recognized through “Teacher Appreciation Week.” During this week the community, students, and parents do a fantastic job with coupons/discounts, thank you notes, and gifts. During this week is when we feel the most appreciation. 6. Is there anything about the culture or benefits of your position there that sets it apart from previous jobs? The culture with Camp Gladiator is unlike any gym or personal training service. Campers often work together in a team or as pairs to achieve a higher level- encouraging, motivating, and pushing them to that next level with their fitness. The beauty of this culture is that is does not stop after the workout. Relationships are formed, and friendships are found among campers and trainers. With teaching, the culture never changes, even though I have different students each semester. I love my students and work very hard to get to know them as individuals. I love to attend their sporting events, awards ceremonies, and see them at their workplace. These to me are the greatest benefits. 7. What would you want other people to know about your workplace & gig as a trainer? The most important thing I want people to know is that THEY CAN DO IT. So many times I hear people respond with, “I wish I could do that” and you can! 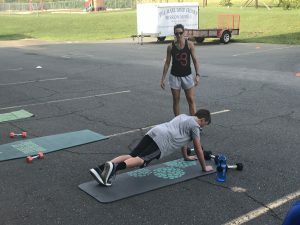 Camp Gladiator is for all ages, levels of fitness, and all sizes. Previous Post:How Healthy is Bossier Parish? BeBossier.com is written and edited by a team of people who love Bossier City, Louisiana. We discover compelling stories within our city and parish, so that we can share our passion with you. Our goal is to showcase all of the incredible resources and amenities Bossier has to offer. Whether you are looking to move to Bossier, start a business here or just wondering what the city is all about, you’ve come to the right place. This blog is a collaborative marketing effort between the Bossier Chamber of Commerce, The City of Bossier City and Bossier Parish. For questions, concerns or story ideas, please contact info@bebossier.com.